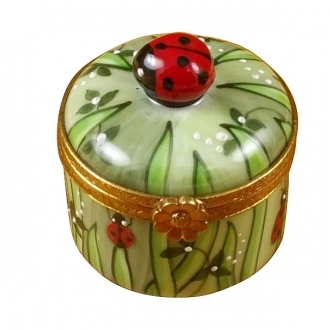 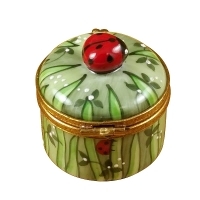 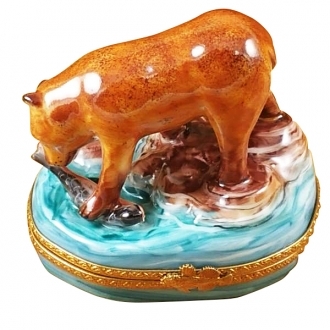 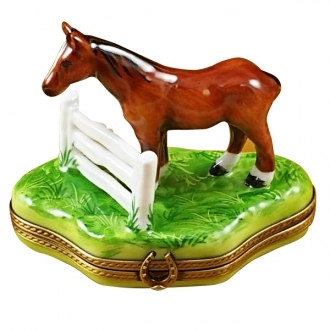 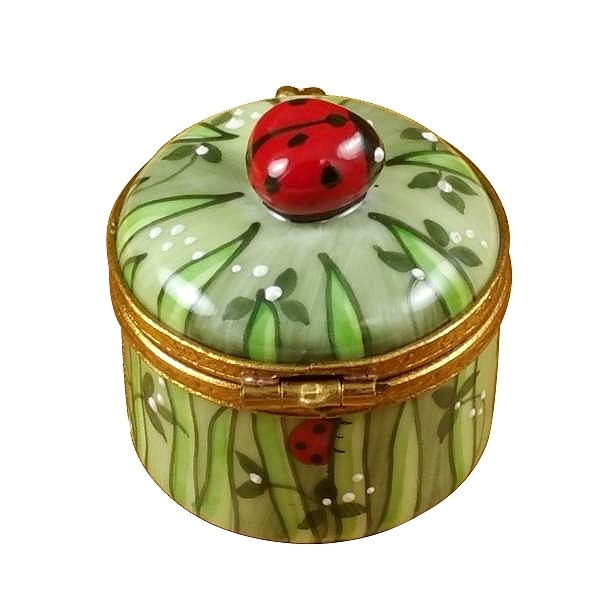 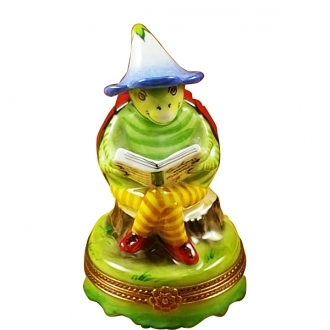 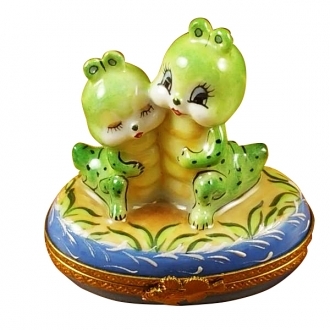 Ladybug in grass - Limoges Boxes and Figurines - Limoges Factory Co. 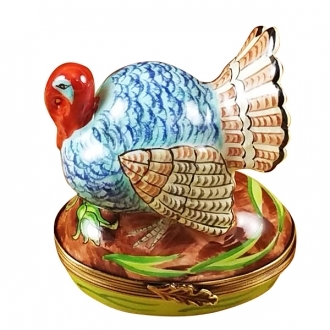 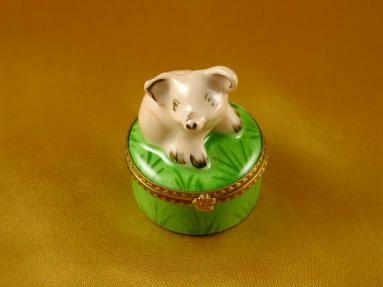 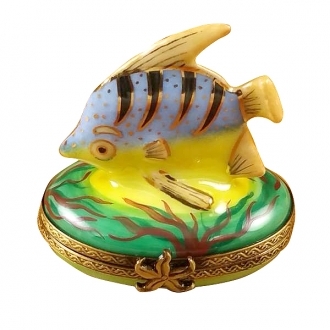 This is another cute little Limoges box which comes in handy when you want to present someone with a small but precious gift like a ring or a precious pendant. 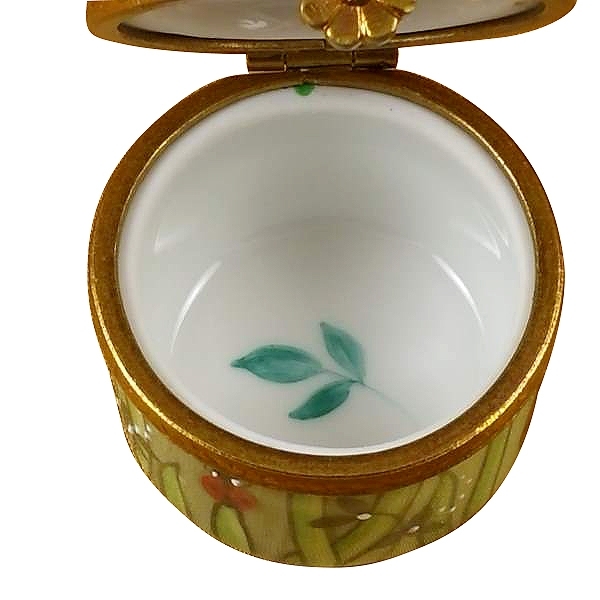 The Limoges box is painted all over with images of grass leaves and blades together with tiny white flowers. 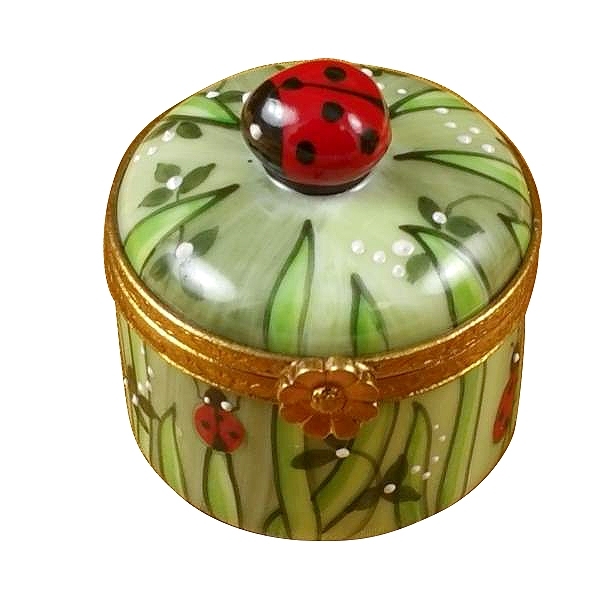 A small ladybug is sitting in the middle of the lid. 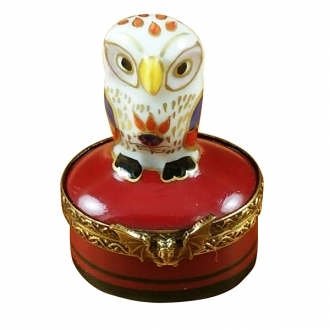 Measurements: 1,5" х 1,5" х 1.5"